For more than 15 years, Athena UPS has been in the field of providing power solutions and power quality products such as Uninterruptible Power Supply and other electrical power products for their mission critical applications. 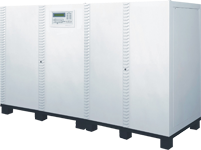 We supply UPS, Frequency Converters, Inverters, PDU (CDU), Battery Charger, and Peripheral Products. Athena UPS also offers OEM & ODM services to design, manufacture and supply customized products to meet your specific requirements or to suit particular applications. Visit the Products or OEM & ODM page to learn more about what Athena UPS has to offer, or go to the Contact page to get in touch with our staff. We look forward to fufilling your power solution requirements!